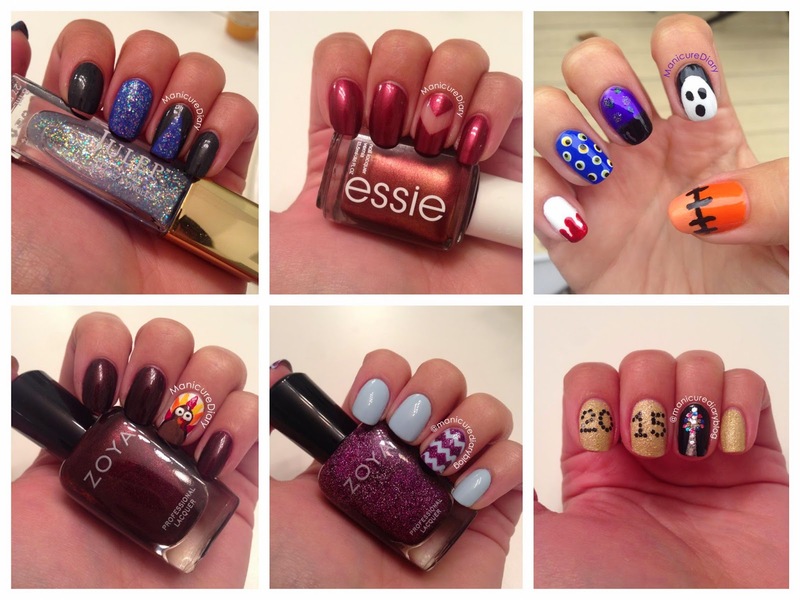 I'm So Polished: 2014 Favorites! Happy 2015! How was everyone's NYE and New Years Day? The BF and I stayed in and watched the ball drop on TV with a bottle of wine. I decided to do a big 2014 favorites instead of just December. I'm going to start with favorite foods. I chose my all time favorite savory and all time favorite sweet dishes I had last year. This was a very difficult selection process for me because I obviously love food and I'm a huge foodie, but here we go. First up is my favorite savory dish of 2014. I went to the Culinary Institute of America in early November with the BF because, as I mentioned, I am a total foodie and I had been wanting to try one of their restaurants. 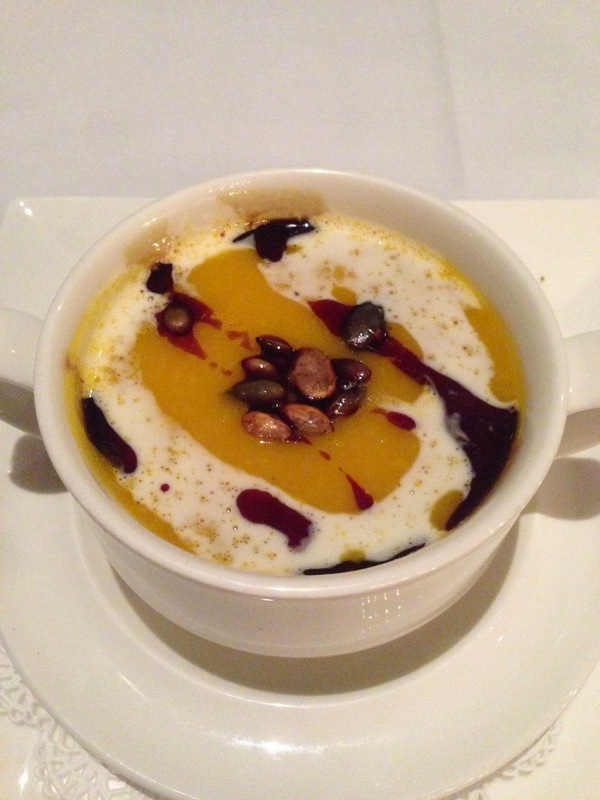 The butternut squash soup definitely topped my list of favorite foods that I ate this year. It was so darn good! Now sweet was really tough because I am a total dessert person. 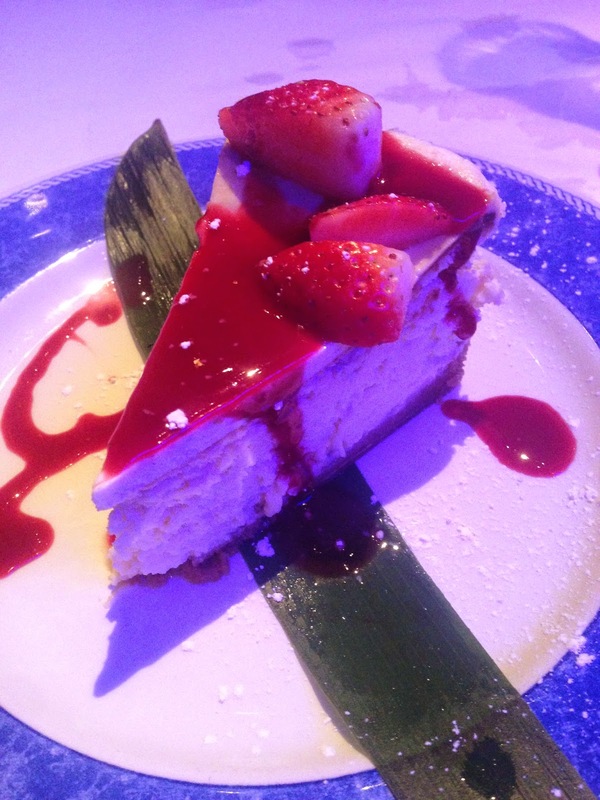 On my recent trip to Marco Island I had a key lime cheesecake with strawberry sauce and fresh strawberries. It was the lightest, fluffiest, most wonderful cheesecake I've ever tasted. Hands down best dessert of 2014. Let's briefly talk about my favorite book of the year. I am a total book worm and I'm constantly reading something. During my vacation I brought Is Everyone Hanging Out Without Me? by Mindy Kaling to read on the beach. This book literally had me laughing out loud. Highly recommend! 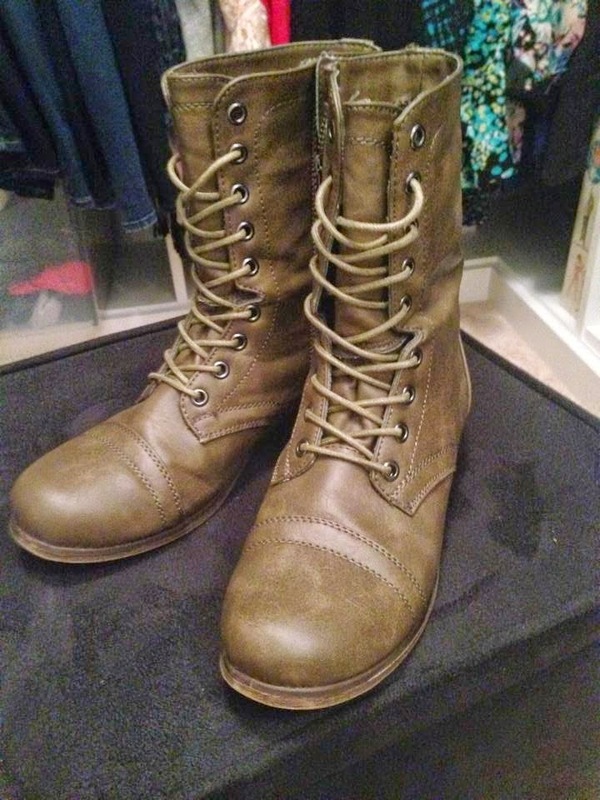 I bought a bunch of cute clothes this year, but my favorite fashion item that I got was a pair of Steve Madden combat boots. I have been wearing these things to death. They are so cute and comfy and they go with almost anything! 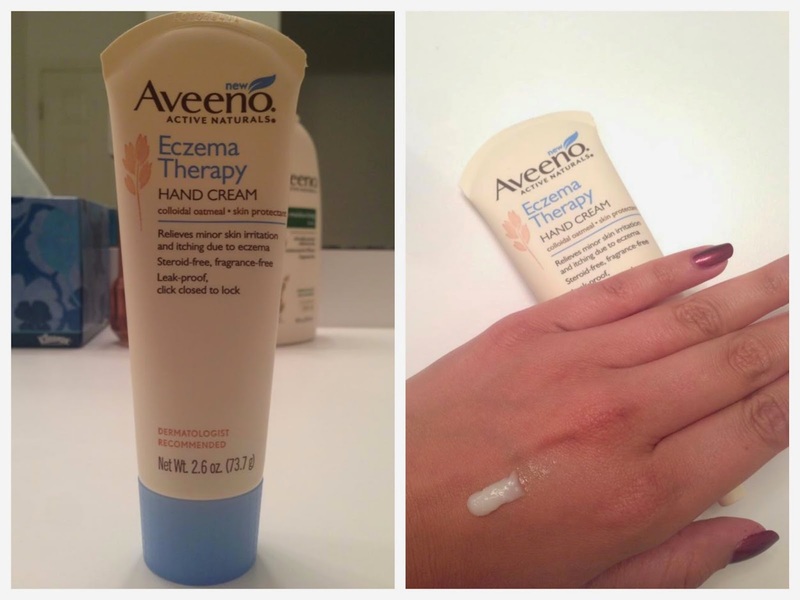 My favorite skincare product of 2014 was the Aveeno Eczema Therapy hand cream. This stuff was and still is a life saver for the mild eczema I get on my hands. It's not greasy at all and absorbs quickly so I can go about my day after using it. 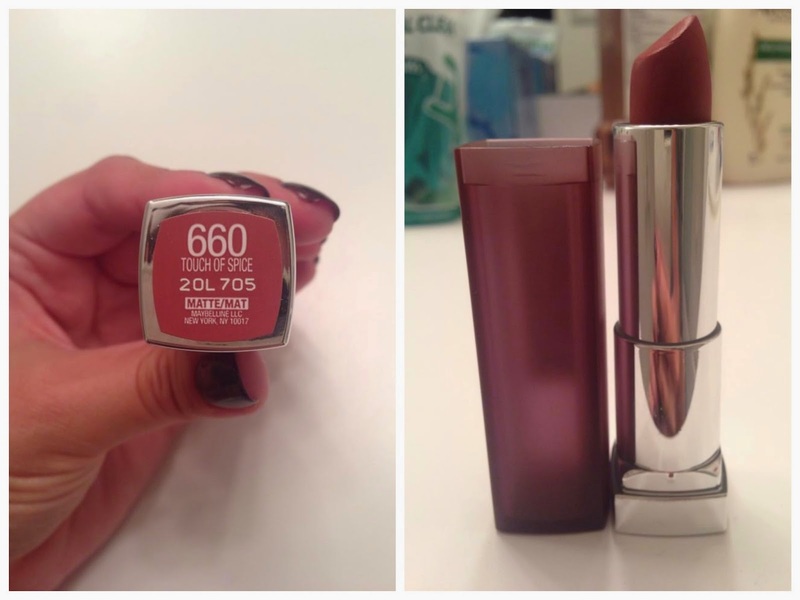 My favorite makeup product surprisingly ended up being a lipstick. This is the Maybelline creamy matte lipstick in Touch of Spice. 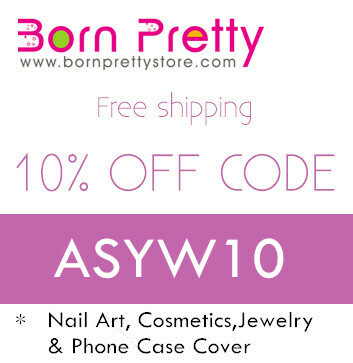 Great color, great formula, great packaging. Just all around wonderful! 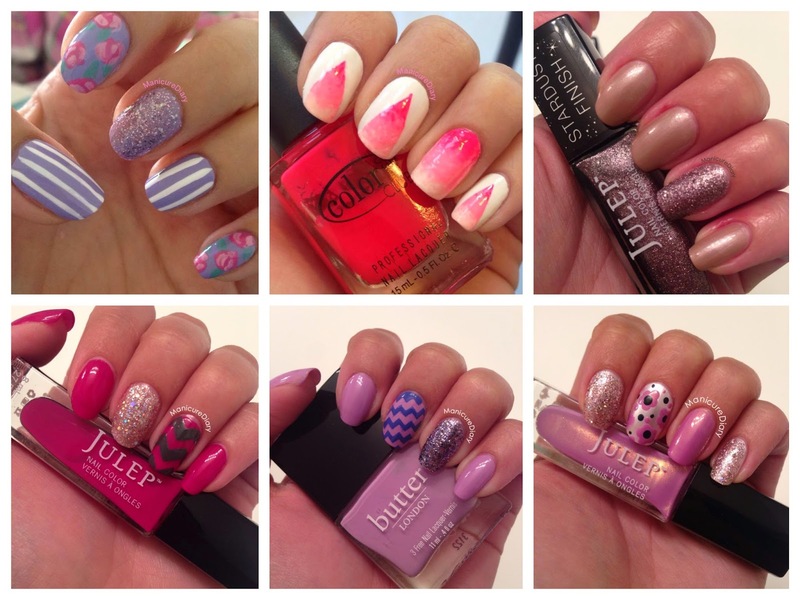 Now what we've all been waiting for...my favorite manicures of 2014! I decided to choose twelve total, one for each month (even though I've been blogging for less than that). Lastly I wanted to share my favorite moments of 2014. Looking back I really had an awesome year! I got a real teaching job as a kindergarten and first grade art teacher and I am absolutely loving it. The BF and I spent lots of time together! We went to the Top of the Rock and saw amazing views of NYC. We went to the Cherry Blossom Festival in DC. I took him to his first concert ever (bonus, we saw Beyonce and Jay Z!). We went to the Culinary Institute of America and had some amazing food. I got to go to Florida twice in two months, once with the fam and most recently with the BF. What is really incredible to me is that I started this blog in 2014. I have really been enjoying it and I'm looking forward to continuing this journey with you all!